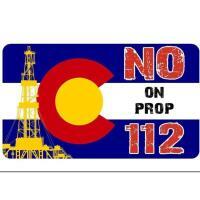 Proposition 112 is bad for Colorado and will cost Coloradans their jobs. According to a recent economic study, as many as 43,000 jobs will be lost next year alone and that number will increase to 150,000 lost jobs by 2030. Don't be fooled. This initiative, which is led by out-of-state environmental groups, will ultimately ban energy development in Colorado.